Ohio National Life Insurance Company and its affiliates are facing more legal challenges over doing away with trail commissions on certain annuity contracts, this time from all six of Cetera Financial's broker-dealers, according to news reports. 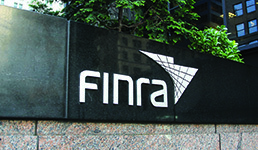 Cetera has filed three Finra arbitration claims on behalf of its broker-dealers: Cetera Advisors, Cetera Advisor Networks, Cetera Investment Services (marketed as Cetera Financial Institutions), Cetera Financial Specialists, First Allied Securities and Summit Brokerage Services, WealthManagement.com writes. The claims accuse Ohio National of breach of contract and unjust enrichment, among other infractions, and seek declaratory and injunctive relief and legal fees, according to the web publication. Spokespeople for Ohio National and Cetera declined comment to WealthManagement.com. Ohio National told broker-dealers in September it was terminating selling agreements, effective Dec. 12, and stopping payments of trail commissions on annuities with guaranteed minimum income benefit riders, according to the web publication. Cetera, however, says that Ohio National is no longer paying commissions on all variable annuity contracts, even those that don’t have the guaranteed minimum income benefit riders, unless Cetera’s broker-dealers agree to sign a contract obliging them to service the rider contracts without getting any compensation, according to one claim cited by WealthManagement.com. Cetera is just the latest firm to go after Ohio National following its termination of selling agreements over variable annuities, as reported. Earlier this month, Veritas Independent Partners, a Conway, Ark.-based broker-dealer, filed a lawsuit against the company, which followed a class action filed by an LPL Financial broker. Ohio National is also facing a suit filed by Commonwealth Financial Network in a Massachusetts district court, according to WealthManagement.com.